Migraines are a form of severe headache that affect about 15% percent of the population globally. Many migraine sufferers experience pain that can be debilitating to the point of jeopardizing one’s career. · Are there certain foods that trigger or calm your migraines? · Based on recommendations from your healthcare team, have you made an honest change to your diet and noted any changes? · If you are using medications, are you using them as advised and recorded their effects? · How is your body moving? Are you flexible? · Do you spend long periods of time in one position driving, on the computer, reading, or in some other sedentary position? · Have you been prescribed exercises? Do you actually do them? 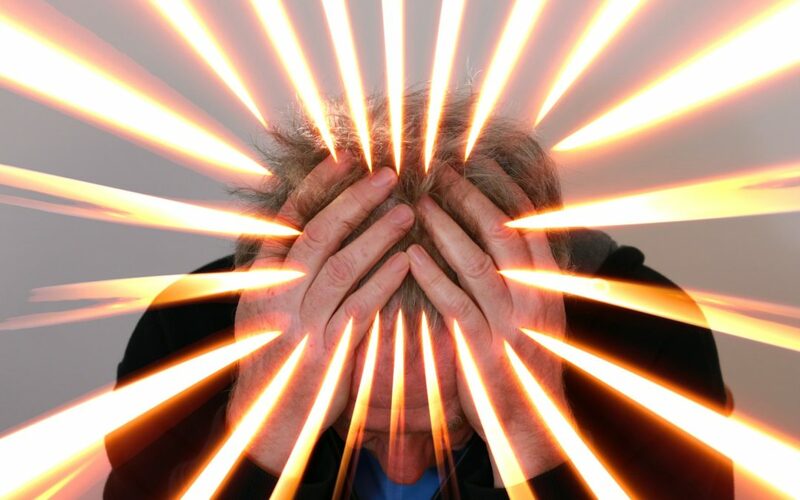 · Migraines are associated with stress. What are the stressors in your life? · How do you mange stress? · Do you actively engage in self-care? How and when do you take care of your emotional needs? Taking inventory of your symptoms and health habits will help you and your healthcare team come up with a plan to address your migraines. Assessing whether therapies like acupuncture and chiropractic care are effective in treating migraines is challenging. When surveying chiropractic care studies, scientists stated that studies had problems with methodology and concluded that “the evidence to support spinal manipulation is poor and insufficient to support its use.” Indeed, while complex, it is simpler to study the use of medication than methods that rely on the practitioner’s experience and skill. One can look at the results of a 5mg or 10mg dose of medicine, compare it with a placebo, and make conclusions. How does one deliver exactly the same “dose” of acupuncture or chiropractic care to patients and then measure the results? It’s definitely more challenging that studying a pill. It is difficult to standardize holistic care and to measure it scientifically. Anecdotal evidence, which would be completely inadmissible in a scientific forum, also points to chiropractic care being effective in the treatment of migraines. On a website where people self-reported the effect of chiropractic care, 29% of respondents (129 of 542), all symptoms were eliminated. Contrasted with only 13% who claimed no benefit at all. We are each responsible for our health. Be bold and do your research when looking for solutions to your migraines. Each person is unique, so be honest with your doctors, give them as much information as you can to help them use all of their training to help create a custom solution that fits your needs. We help lots of people just like you with migraine symptoms. Call our office at (619) 313-5403 to see if NUCCA is right for you too.